Come for the flowers, stay for the fun!  Washington County is ramping up this weekend as the Bluebonnet Festival in Chappell Hill kicks off Saturday and continues through Sunday, the Blue Bell Fun Run is Saturday morning in Brenham and then the Cool Nights, Hot Tunes concert is Saturday night in Downtown Brenham! Check out of full events calendar for all the great events, art exhibits, live music, and more happening county-wide. 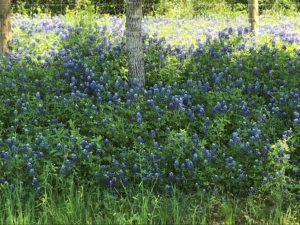 With so much happening in Brenham & Washington County this weekend, it’s the perfect time to see all of the exciting blooms still found all around the county! But fortune will favor the early! 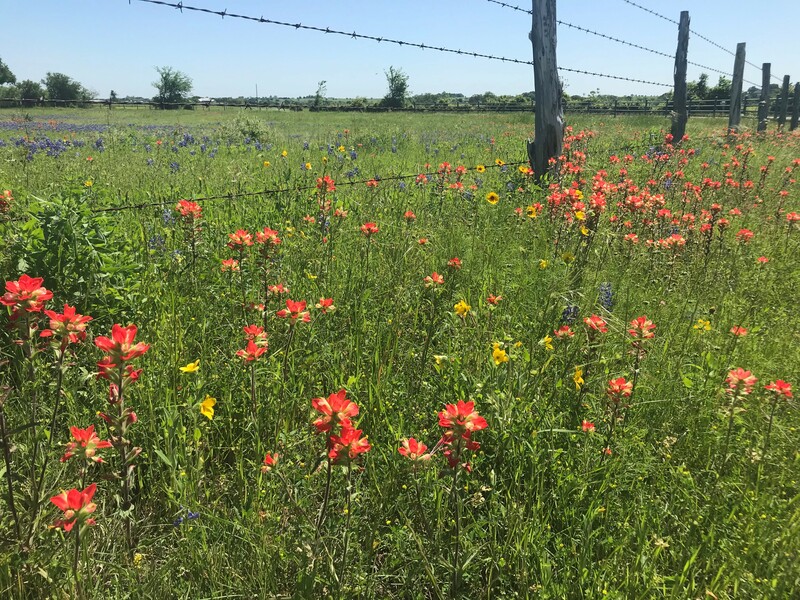 With the combination of recent (and forecast) rain and sun, the grass and weeds in the pastures are rapidly catching up to some of the blooms so we advise heading this way soon to see the wildflowers. Don’t forget to exercise caution when entering high grasses! These are home to critters of all types so please be careful! 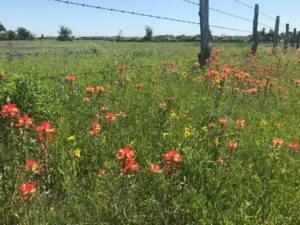 Don’t forget, the wildflowers of Washington County don’t stop at just bluebonnets and paintbrush! Keep your eyes open as the county is coming alive with beautiful evening primrose, firewheels, coreopsis and more – all are wonderfully photogenic and blooming everywhere you look! Good driving routes, however may be difficult or dangerous to stop on. Use caution! Driving routes with slower roads and more opportunities to pull over; also make a great slower driving tour. Safe stopping areas to see flowers; some may be fenced, some unfenced. Unfenced property is still private property; please be respectful of others’ property! 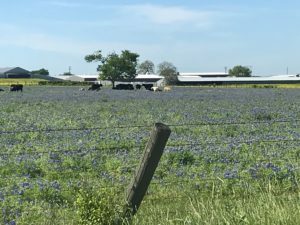 During recent wildflower excursions, we’ve also recently found that South Blue Bell Road (behind the Brenham Saddle Shop) is a great field with no fencing and ample parking along the road. We suggest you trying there! It’s in an industrial area well off any major roadways so it’s not heavily trafficked at all. Just this morning there was a good mix of flowers, but primarily bluebonnets! Our list above of good stopping points have been spotted in the past 2 days and are all on slow county roads or in town where there is easy access to safe parking areas. The county roads take a while to get out to, but the flowers have been worth it. Check them out – you may be surprised!